Corby councillors decided last night to start a community governance review, which should lead to the creation of a Corby town council. A town council for Corby looks to be on the cards. All of Corby Council’s members got behind the suggestion at a full council meeting and the ball has now started rolling and a community governance review will take place. Councillors spoke passionately about the need for a town council for Corby if the current plan to scrap the borough council and replace it with a unitary authority goes ahead. Cllr John McGhee said: “I would fully support a Corby town council and if the unitary is going to happen we need to get on with a community governance review as soon as possible. “It means we can talk to shadow authorities about what services can be devolved. A town council has the same powers as a parish council and can charge a precept to local taxpayers. The principal authority, which could be a new unitary authority, can devolve some services down to a town council and give a grant to run them. 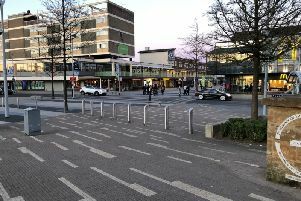 A Corby town council would represent 86 per cent of the borough and the rural areas would remain under the various parish councils. All eight councils in Northamptonshire are currently in limbo while the secretary of state for local government James Brokenshire carries out a consultation about whether to replace Northamptonshire’s two-tier governance system with a unitary one. Following the troubles at the county council the Government suggested the councils collectively put in a bid for unitary status, saying that only two unitaries would be considered, one for the north and one for the west. Corby Council objected to this and last night decided to reiterate its objection to the Government. It has also put forward a new suggested four-year timetable if the Secretary of State decides that unitary is the way to go for Northamptonshire. The current timetable is for two new councils to be created for May 2020, with a shadow authority set up in May this year, but Corby say this is too soon to transfer services from the county council and the boroughs and districts successfully. A report will be brought to the full council in February to officially start the community review process. Councillors also agreed to implement Charter Trust status, which will ensure that local civic traditions are protected until the completion of the Community Governance Review. Wellingborough has agreed to create a town council while Kettering has decided not to do so for the time being.